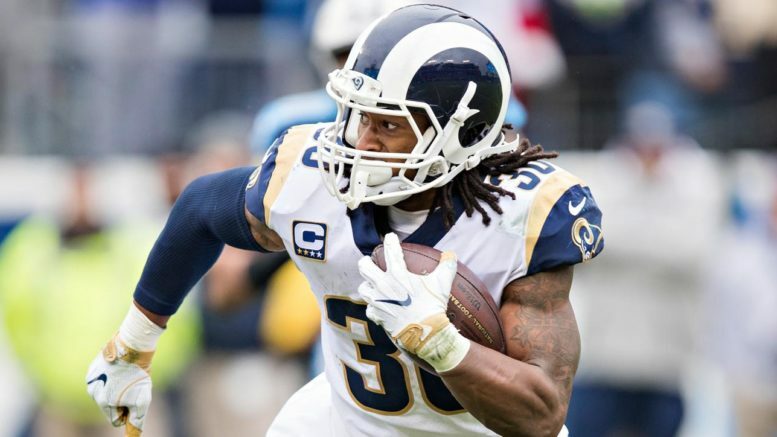 Todd Gurley and the Rams fortunately get a home game Monday Night against the Chiefs after the league moved the contest out of Mexico City. What a disaster for the NFL, but great news for everyone else (outside of Mexico City, anyway). This joke of an International Series had its first major hiccup, meaning the Rams will actually get their allotted eight home games at the Coliseum. As for the rest of the league, maybe there’s hope that we will see less of these games in Mexico and London just because the NFL needs a few extra dollars in its pocket. Okay, with that rant aside, time for some picks! Call me crazy but I like the Jags to keep this one close. The Steelers will win because the Le’Veon headache is gone and obviously there are only two teams in the AFC that truly care about winning (Steelers and Pats), but eventually the Steelers have to be pushed to the limit on the road, don’t they? Pittsburgh is 3-0-1 on the road this year and the Jags have lost five straight. It looks so obvious that it almost has to be a close game. Pick: Jaguars. The Giants need a home win in the worst way, and who better to comply than the lowly Bucs? Tampa has lost six of seven and I think last week’s comeback win gave Eli Manning and the Giants a little breathing room. Look for them to finally break through in the Meadowlands. Pick: Giants. The NFL is so weird week to week that you’d have to like the Eagles here to cover. Philly is desperate at 4-5 and coming off a surprising loss to Dallas, while the Saints could do nothing wrong in a 51-14 win at Cincy last week. But these are two high-flying teams both needing wins for different reasons. I’d expect New Orleans to get the win, but they will have to struggle a little against the defending champs trying to hang on to their season. Pick: Eagles. A “bonus” home game for the Rams, imagine that? Southern California has had a rough stretch but hopefully this game will provide a welcome distraction. The Chiefs are America’s last hope to potentially win the AFC instead of the two usual suspects, meaning they’ll probably find a way to lose a few more games this year so New England and Pittsburgh can assume their usual spots at 1 and 2. The Rams have the better defense and will be able to slow down Patrick Mahomes just enough to keep pace with the Saints in the NFC homefield race. Pick: Rams. Be the first to comment on "Week 11 NFL Picks: No More Mexico City!"